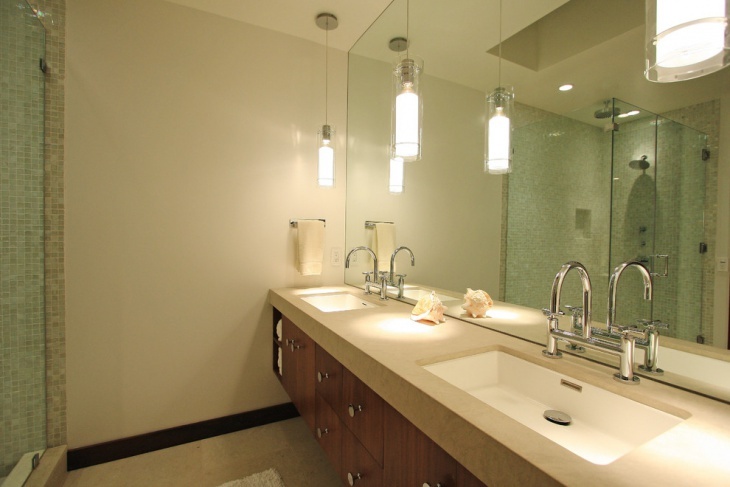 Placing the proper bathroom lighting can totally transform the space and make it appear elegant and classy. Pendant lights which hang low in the ceiling add a high dose of glamour quotient, but be sure to follow the building codes before hanging one. For instance, one rule is that the pendant light or a chandelier should be at least 8 feet above the tub in the bathroom. Below are some of the most exclusive bathroom pendant lighting designs. This stunning vintage style bathroom contains several pendant lights in the corner of the bathroom space, right next to the vanity and countertop. The pendant lights are more than 5 which have a very subtle lighting effect that is sure to enhance the mood. 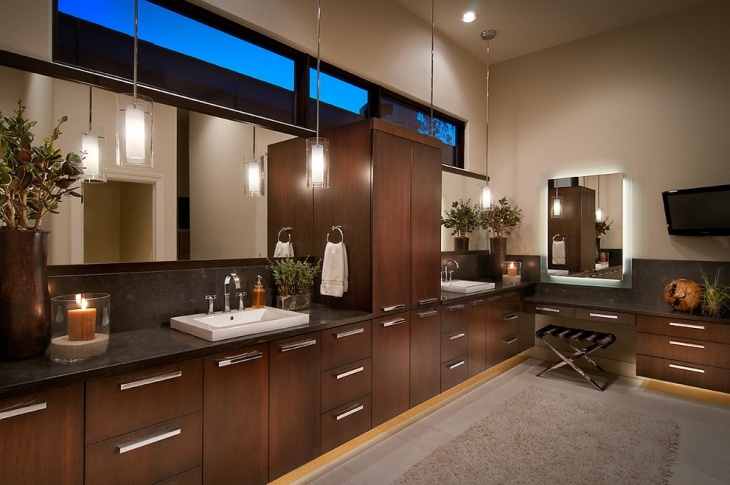 This contemporary bathroom features pendant lights that hang low below the ceiling and are placed above the mirrors. 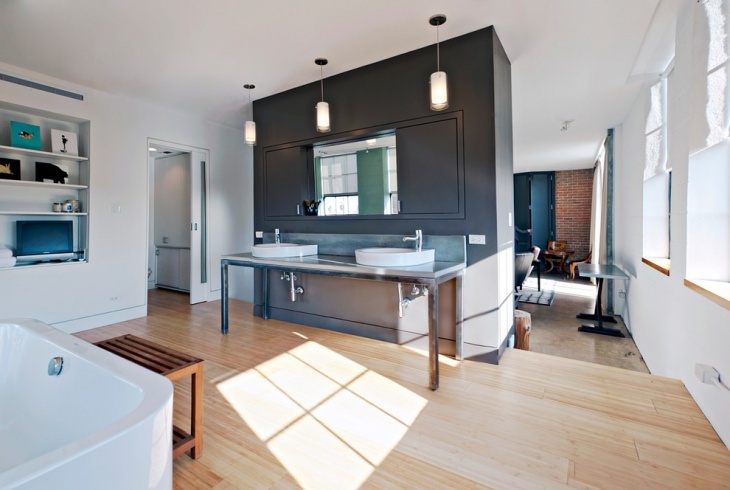 The mirror reflection looks classy and provides brightness to the bathroom space. This beachside penthouse features a contemporary bathroom with pendant lighting that adds a bright hue to this white bathroom space. The pendant lights are thin and crystal like inside which the small light is fixed. 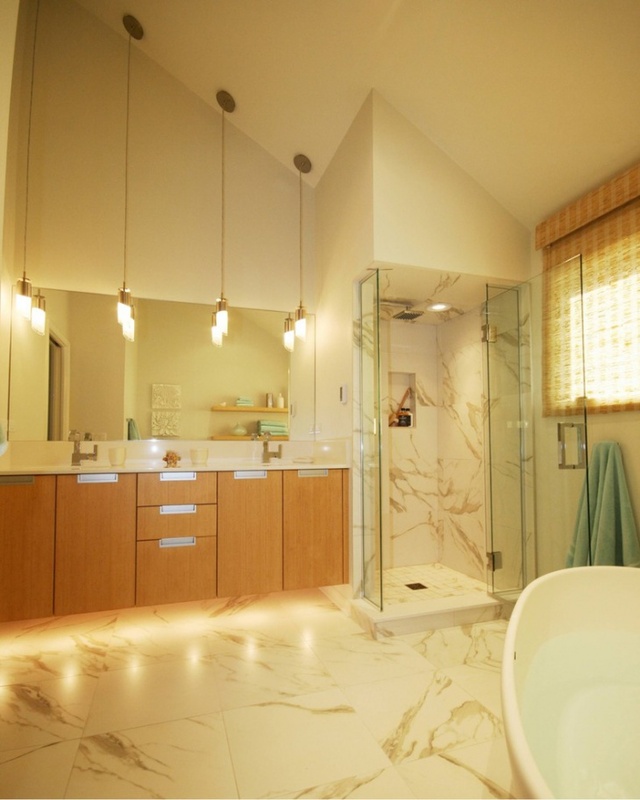 This bathroom contains pendant light over vanity which has a yellowish white light effect. 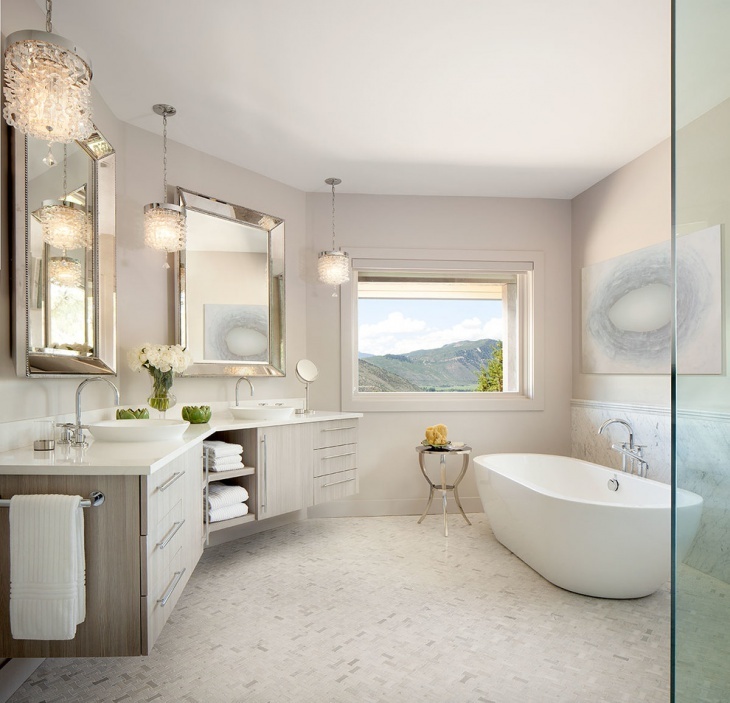 The bath lighting pendants in this bathroom are of LED finish. 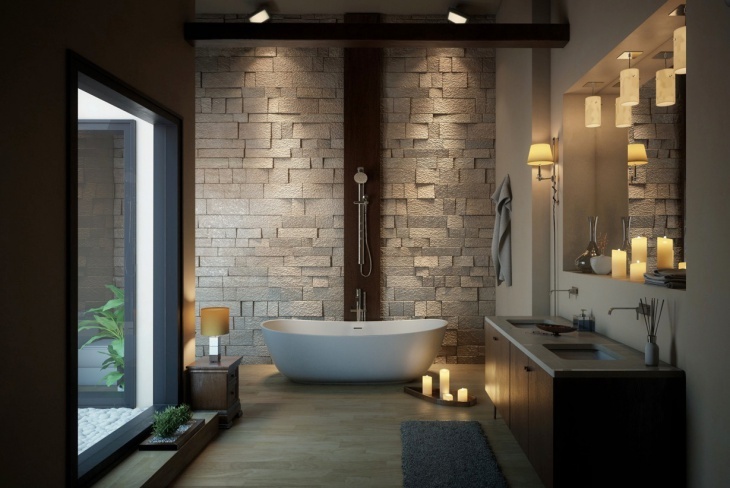 This kind of light makes for a trendy bathroom and adds much grace to the bathroom space. 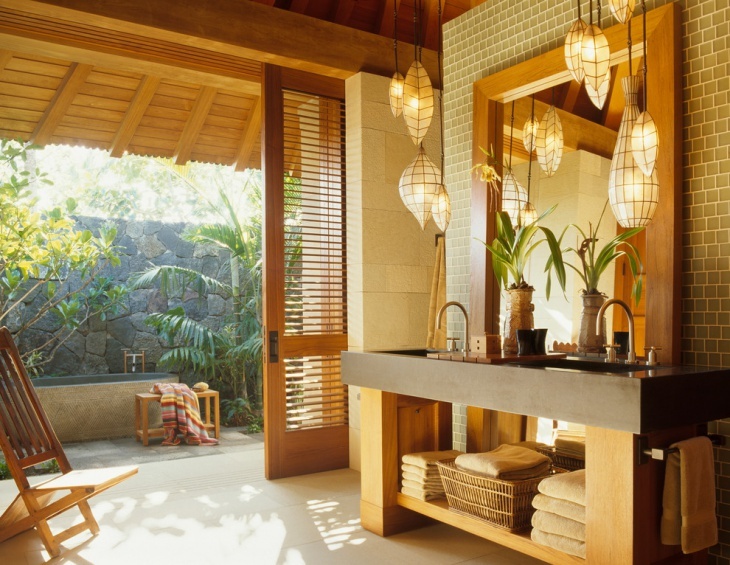 This master bath tropical bathroom contains funky style hanging pendant lighting which is placed just next to the mirror and hangs low below the ceiling. These pendant lights have the leaf shape with yellow effects and have the same effect as the lanterns. This is a bathroom glass pendant lighting in white which perfectly suits an all white bathroom like this one. The shapes of these pendant lights are similar to that of the balloons and add grace and sophistication in this modern bathroom space. 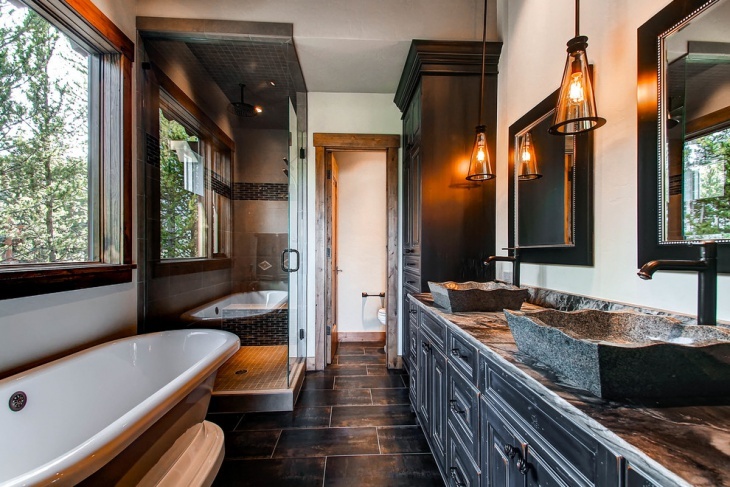 These pretty mini pendant lights in this gorgeous bathroom space are just picture perfect. The pendant lights have been placed in the corner of the bathroom, near the vanity space It has an intricate design like that of a chandelier which complements this beautiful bath space very well. 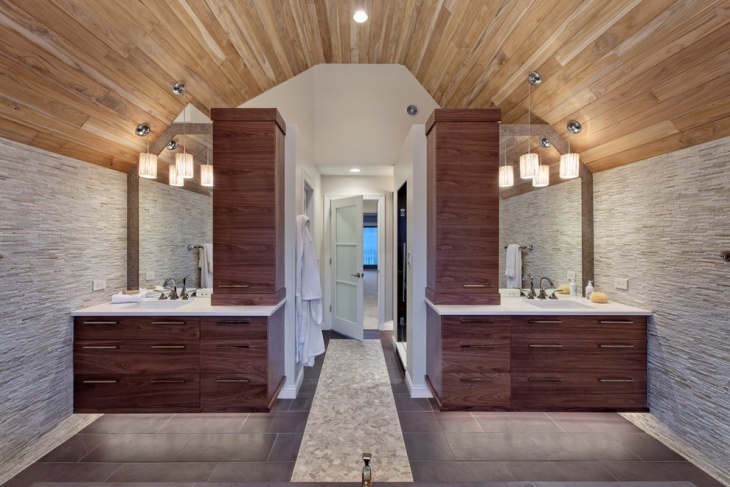 This bathroom contains multi pendant lighting, while there is one big cylindrical light hanging in the ceiling. There are also several other yellow hanging pendants placed next to the vanity whose mirror reflection creates a beautiful effect. This is a beautiful home transitional bathroom that features a chandelier light as well as pendant lights. The pendant lighting complements the chandelier and looks like the mini version of the same and has the same light effect as well. 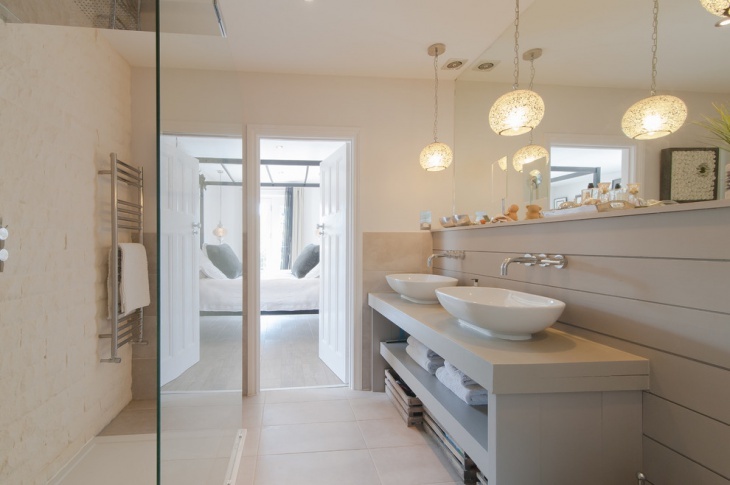 This is yet another all white bathroom which is the small and transitional one featuring pendant lighting. It has a large central pendant light in a circular shape with silver and white design and is very elegant. 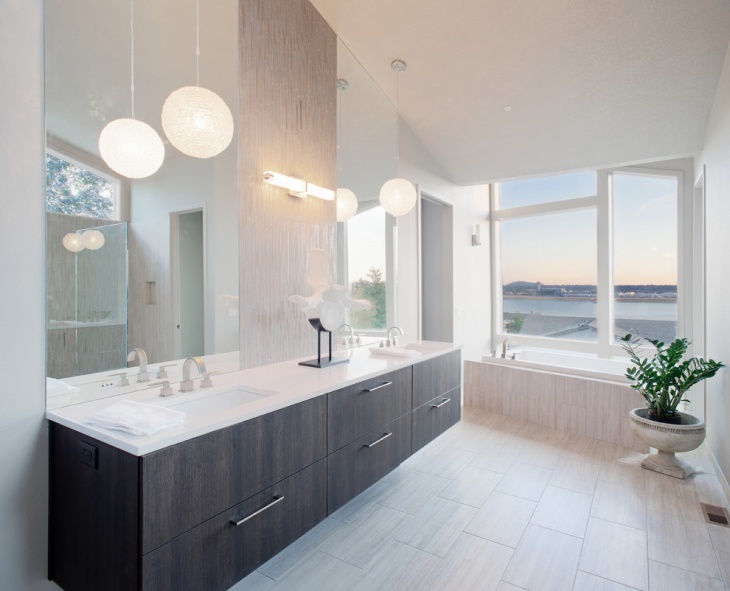 This pendant light is the main highlight of this bathroom space. Lighting plays a major role in determining the ambiance of a space. 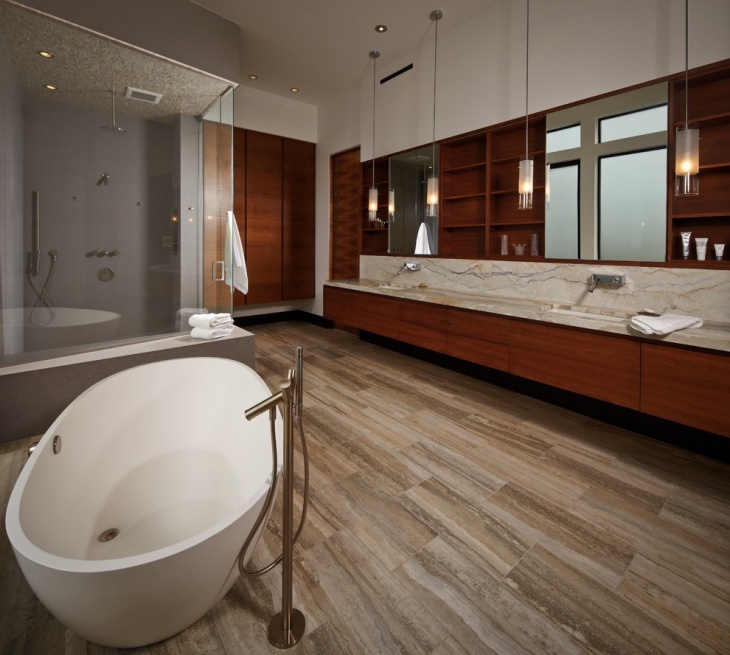 When it comes to bathroom, it is important to opt for lighting that fit the moods and the space. 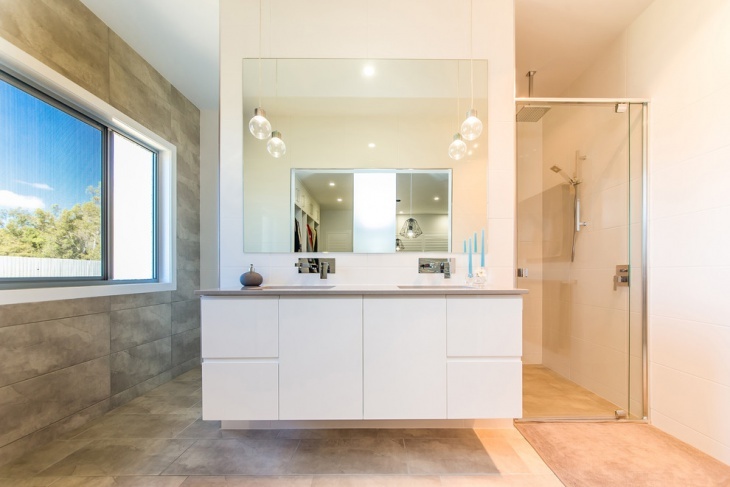 Yellow and white lights are common in bathrooms which are fixed in the ceiling, but pendant lights create a whole new makeover and much grace to an otherwise plain and boring bath space.